Since the spike is still pretty new they're kind of pricey so I decided to make my own spike headband for much cheaper. 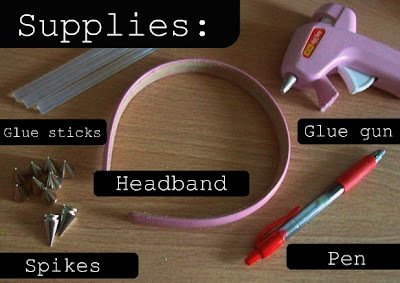 You will need a headband (I used a pink faux leather one), a glue glue, glues sticks, a pen, and of course spikes (I used 20mm ones but you can use whatever size you want.). Next measure out how far apart you want your spikes to be (Mine are 1 inch apart). 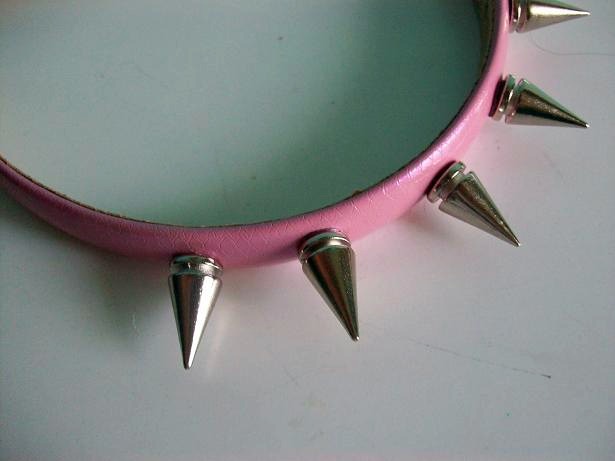 Then, with a pen mark where the spikes will go. After that use a glue gun to add a glob of hot glue over the marks and quickly place a spike on top of the glue before the glue dries. 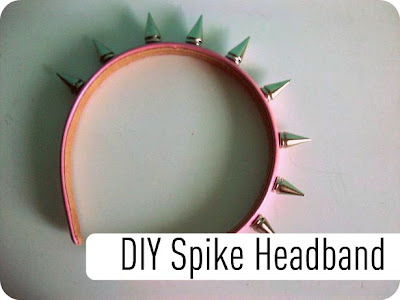 Push the spike down to add pressure so that the spikes stay in place. Repeat until you have added however many spikes you want on your headband. 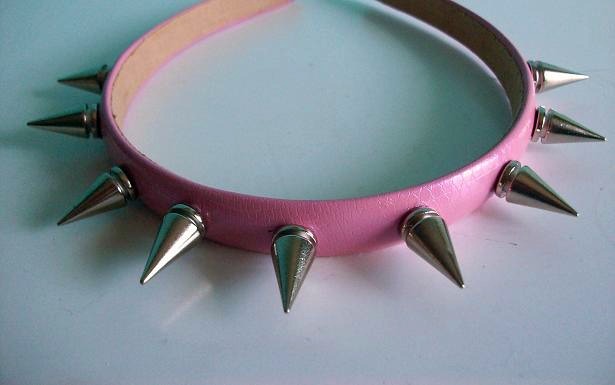 I love how the headband came out and this project costed me less then 10 dollars to make! I totally want to make more in different colors. I hope you enjoyed this DIY. Let me know if you give it a try! This is such a great DIY idea! 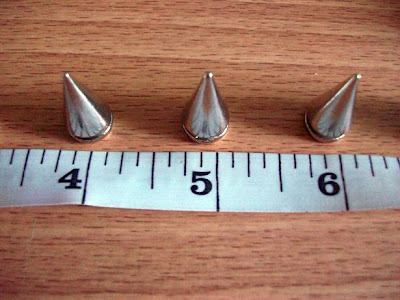 where did you buy/get the spikes? I bought mine on ebay. There is a link to where I bought them under supplies.